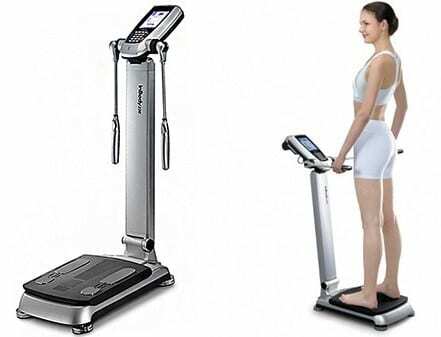 Easy, Quick, Precise The premier line of award-winning BIA body composition analyzers. InBody is a member of the Obesity Medicine Association and Obesity Treatment Foundation Corporate Advisory Council. Whether you’re a beginner or an advanced athlete, scientific feedback is necessary information to establish how you’re doing and what to do next. West Coast Sports and Fitness Center gathers valuable baseline information using INBODY230 technology. All WC members get a complete individual fitness report on along with an explanation of the report. All weight is not equal. When we lose weight, it’s important to know what kind of weight you lost. Wouldn’t you rather lose fat weight than muscle weight? InBody technology helps us understand what type of weight your losing and or what type of weight you gaining (muscle hopefully). After we establish upfront numbers from our clients we re-test 6-8 weeks later and see what type of changes your body has made. We then can make adjustments to better improve your progress. The test takes only 45 seconds, socks and shoes must be removed during test. Test platform is always wiped down before every test. Two tests are included with membership although tests can be purchased individually. Learn More About The InBody Today!